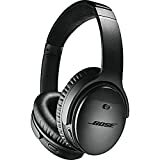 Bose is always a big seller each year on Black Friday and another other big sales event, and the reason is fairly obvious: Bose’s product lineup is fantastic, but all of its headphones and speakers are quite expensive. For Black Friday 2018, there are a bunch of different Bose products available at deep discounts, but there are three in particular that we’ve highlighted as the best Bose deals you’ll find. First we have the Bose Solo 5 TV Sound System, which is a terrific compact sound bar that you can buy on sale right now for only $199. 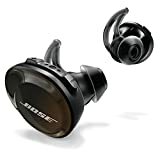 Then we have the Bose SoundSport Free Truly Wireless Earbuds, Bose’s first cord-free earphones that also happen to be among the best on the market. 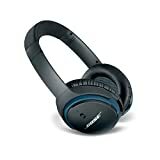 Finally we have the insanely good Bose QC35 Noise Cancelling Wireless Headphones for $299 and the Bose SoundLink Over-Ear Wireless Headphones II for only $199 right now. All three of these deals are all-time low prices, so grab them now before they sell out!